Howard Fensterman is the Managing Partner at Abrams, Fensterman, Fensterman, Eisman, Formato, Ferrara, Wolf & Carone, LLP. 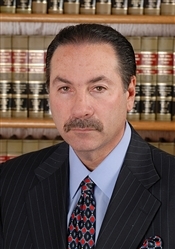 Mr. Fensterman is involved in all facets of the law firm's practice, including representing corporations, partnerships, LLCs and LLPs, as well as other business entities and individuals in connection with litigation, settlement negotiations, purchase and sale of business entities, asset-based lending, shareholder and partnership agreements, and real estate matters. Mr. Fensterman was appointed by Governor Paterson to serve on the New York State Public Health and Health Planning Council in 2008 until his term ended in 2014. He formerly served on the Public Health & Planning Council's Establishment & Project Review Committee. Mr. Fensterman is a member of the Board of Trustees of the Crohn's and Colitis Foundation of America - Long Island Chapter. Mr. Fensterman received his J.D. from Georgetown Law Center. He is admitted to practice in New York, New Jersey, Maryland, and the District of Columbia.